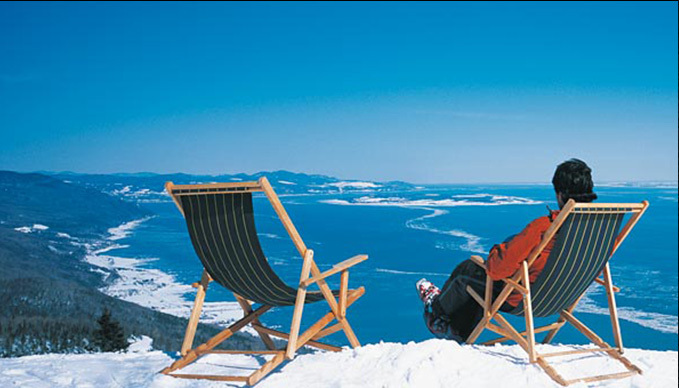 The Villa Marvic is a luxury chalet for rent among the finest in the country. 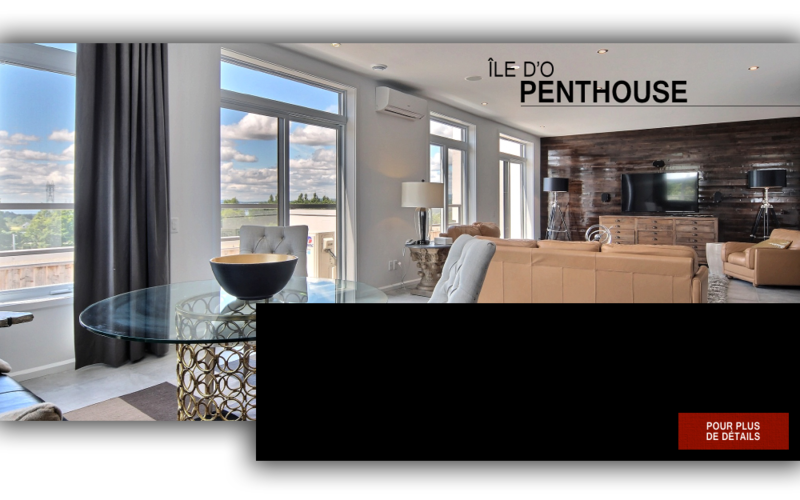 Enjoy 7000 square feet elegantly decorated, overlooking the spectacular St. Lawrence River. 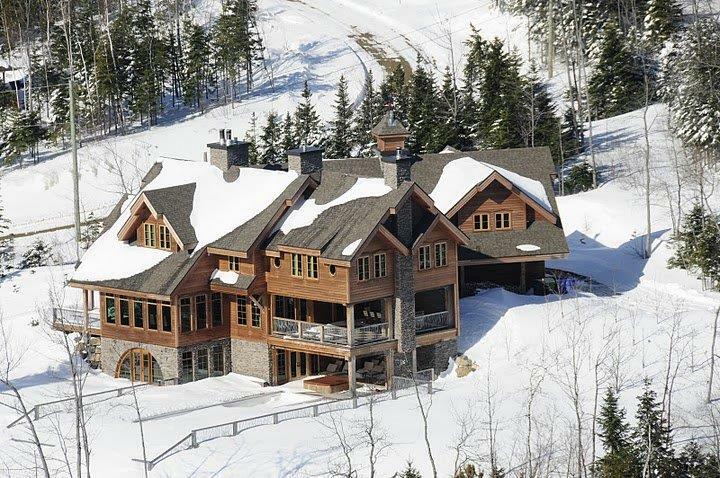 Located 10 minutes away from Le Massif ski resort and 20 minutes from Baie-St-Paul, Villa Marvic is the ideal place for a luxurious stay in the magnificent Charlevoix region. 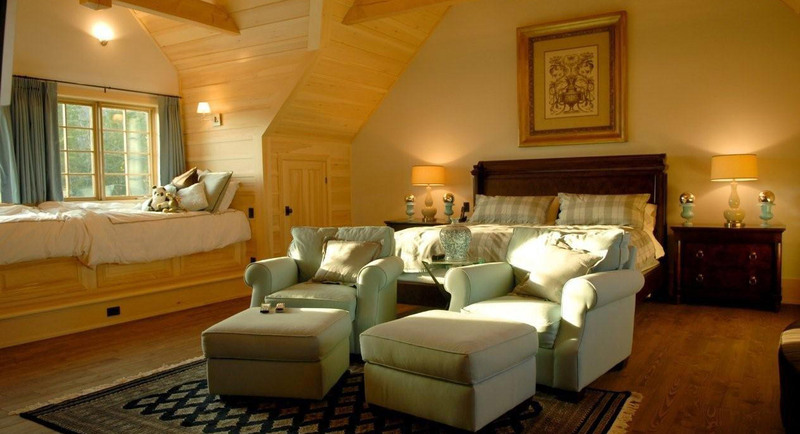 With 6 rooms that can accommodate 12 to 16 people, this luxury resort features a huge master suite with an area of nearly 1,000 PC. 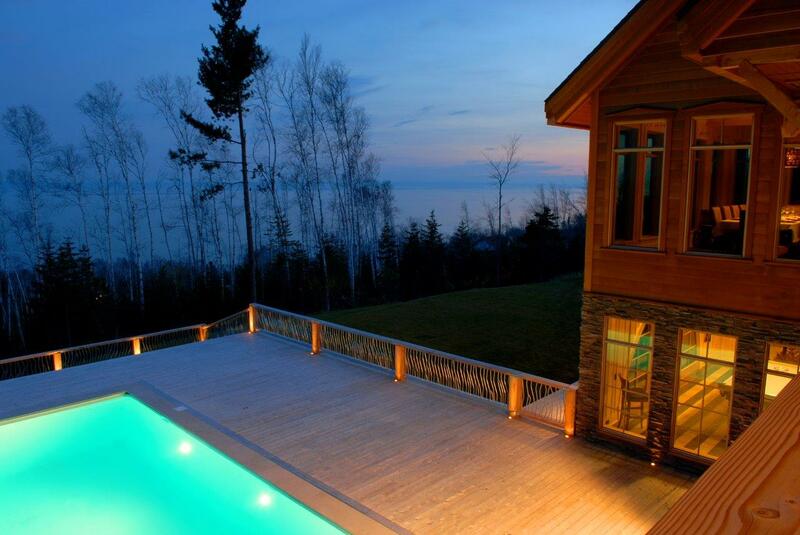 The villa is equipped with everything you could possibly want for a luxury holiday in Charlevoix. 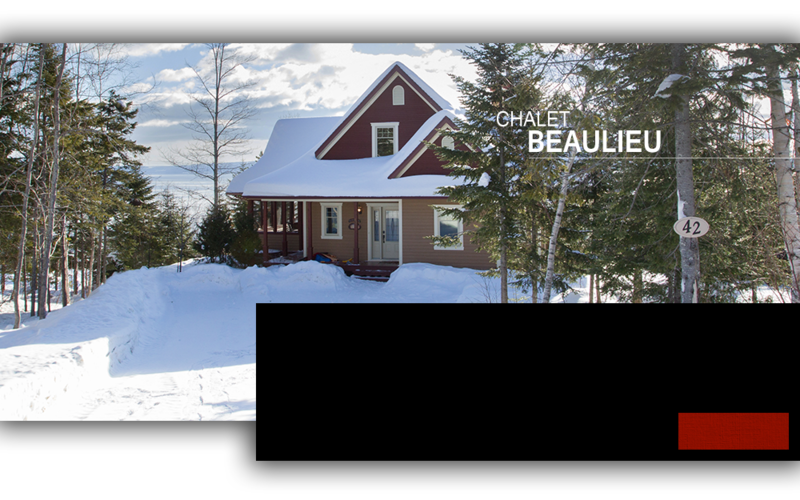 Relaxing in Charlevoix becomes a prestigious stay in what appears to be rather a boutique hotel by the size and interior decoration. Whether for a corporate meeting, a lake-to-shoulder, a reception, a family celebration, a wedding or a holiday, the Villa Marvic is the ideal place for your accommodation. Accommodating up to 50 people for a reception, Villa Marvic is the place of prestige by excellence in the Charlevoix region (prices for receptions, please contact us). Spa, pool, pool and sauna are some of the many available activities in our luxurious villa. 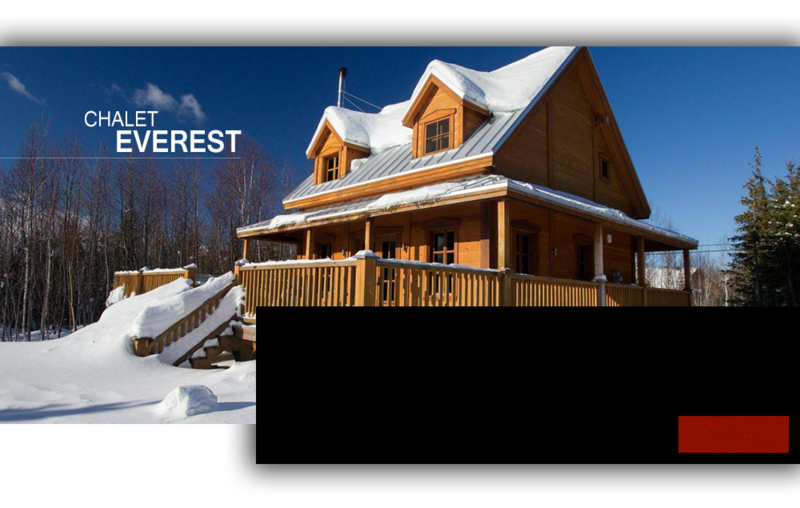 With its upscale and unique decor, Villa Marvic stands out among the luxury resorts in Quebec. Note that the area also offers its own helipad. In the summer Villa Marvic is even more special! The spectacular view of the 3000 ft2 pool deck allow you to discover the even more beautiful at night than during the day St. Lawrence River,! 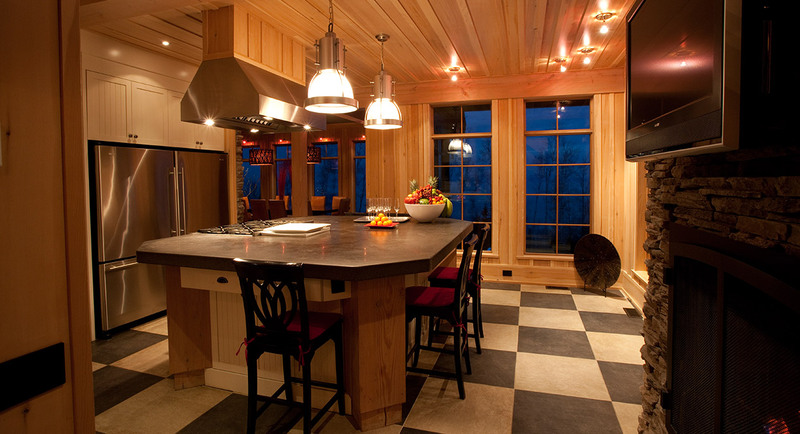 A kitchen for foodies! Double dishwashers and refrigerators, 6 burner gas stove, outdoor BBQ ... ideal combo to organize your evenings with friends and if needed, we have catering available. LAt Villa Marvic, unlike at a hotel, you can share your entertainment with friends! 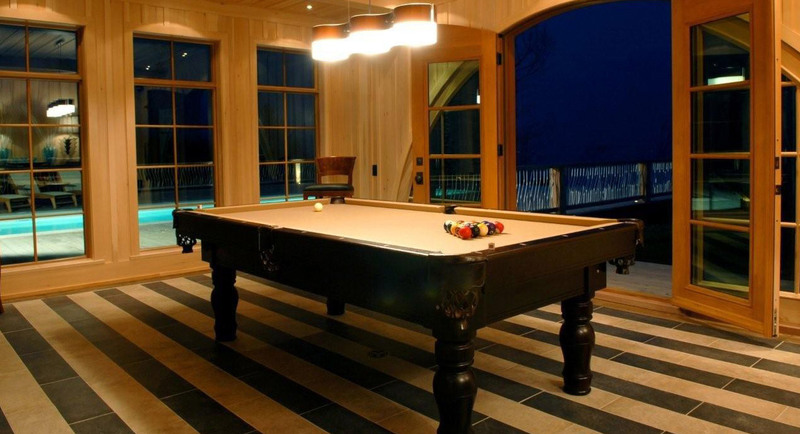 Pool table, sauna and steam room, whirlpool bathtub and a 42ft swimming pool; it’s upstairs leisure! And ... the helipad to access the villa discreetly. A suite the size of an apartment, semi-detached, allows you to meet privately with your partner or business relationships or if you simply want to isolate some of the group for a few moments. The huge reading bench welcomes you for a quiet moment before resuming ... party! 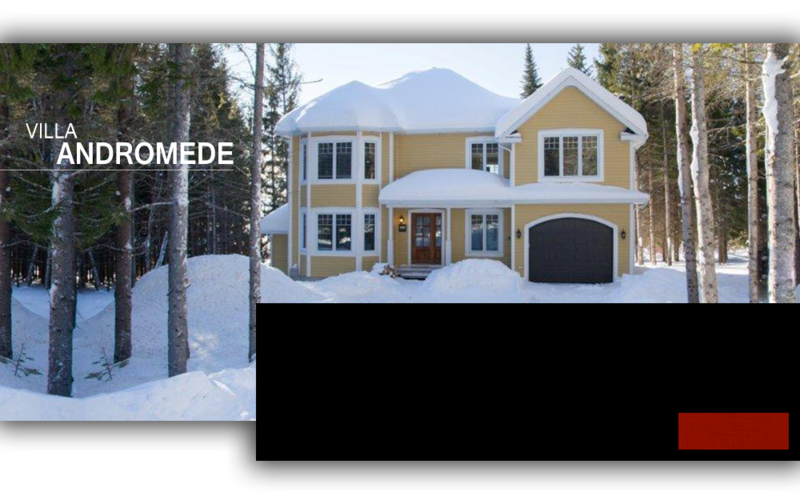 Located between Le Massif ski station (10 min) and Baie-Saint-Paul,Villa Marvic is the ideal starting point to visit the area of Quebec in Tadoussac.